Let's take this up a notch. 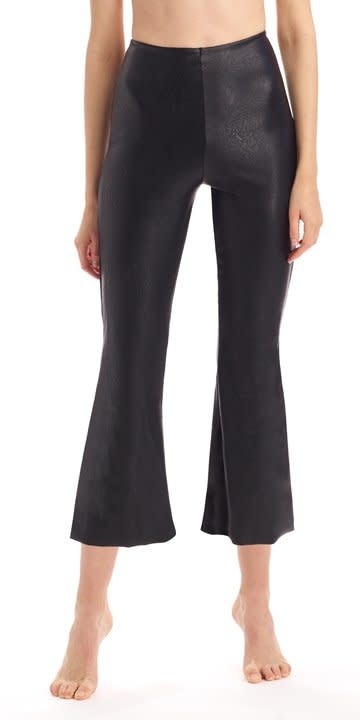 Commando's best selling faux leather leggings in a flare capri length. Designed from firming four-way stretch faux leather fabric and elastic-free signature internal waistband for a smooth high rise fit. *Note: these leggings may feel snug when you first pull them on, but they will form to your shape within first wear. Trust us- they're worth the wiggle!